of solicitors based in Bournemouth. We specialise in all aspects of property law. John Chester founded Chester & Co in 2000. Since then we’ve focused on delivering the very best in client care through providing a truly personal service to our clients. We seek to understand early on what our clients wish to achieve and provide efficient advice accordingly. We believe that clients should feel that they can call their solicitor to discuss matters at any time and build a good relationship with them directly. We are proud to offer a set fee for conveyancing matters and this means that costs are completely transparent. 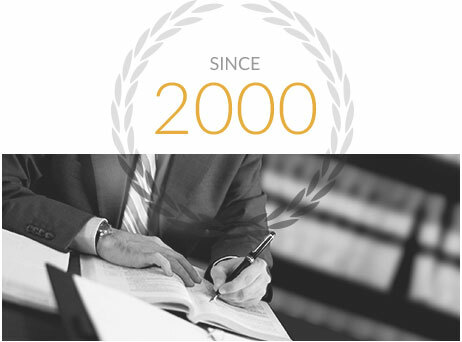 We are highly competitive and have established a reputation within the local area as being the law firm that will offer excellent value as well as a particularly personal and proficient service. Our rigorous recruitment process and in-house training ensures that our team is made up of exceptional talent. We promise to keep things simple and jargon-free, we treat you the way we would like to be treated. We pride ourselves on being an approachable firm, always putting the client first. We ensure to make ourselves always available to our clients. No matter how small the question, you can always speak to us for reassurance or clarification. It is our dedication to client care that truly marks us apart from other firms. 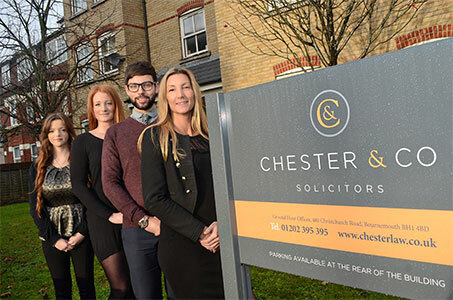 If you’d like to find out more about Chester & Co, feel free to get in touch today.